Prior to officially announcing …Like Clockwork, Queens of the Stone Age sent out a number of cryptic letters to hype up the set, and now the band have unveiled a mysterious phone call promotion as well. If you head to likeclockwork.tv now, you'll be taken to an interactive website where, if you punch in your actual digits, a clown-masked shadow-lurker will dial you up from his lair. Once you answer your phone, you'll be treated to a super creepy pre-recorded message that asks where you've been hiding, while also noting that "the view from Hell is blue sky." The voice closes the call with a gravelly "I'll see you real soon," and then you'll find that the website implores you to return on Monday (May 6). It's unclear exactly what will be revealed on Monday, be it a video, a song or another interactive puzzle piece, but our interests are piqued. Stay tuned for more details. 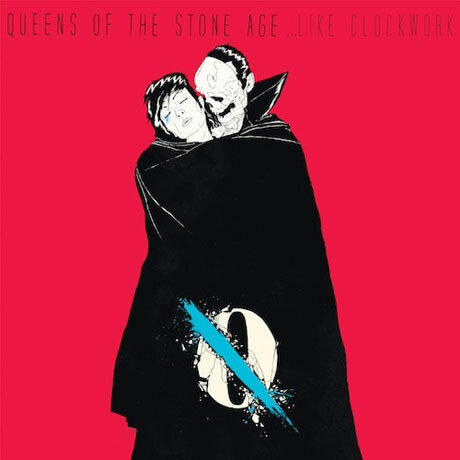 As previously reported, ...Like Clockwork features guest appearances from the likes of Dave Grohl, Elton John, Trent Reznor, Mark Lanegan, Alex Turner, James Lavelle, Jake Shears, Nick Oliveri, Joey Castillo and Jon Theodore, and hits stores June 4 through Queens of the Stone Age's new label home, Matador.